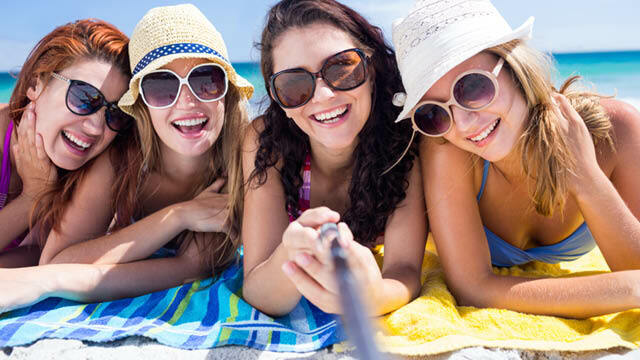 39% of Brits can’t stand Selfie Sticks on Holidays. 55% of Brazilians take them anyway. Last week Toyota unveiled the ” world’s largest selfie stick” – a reaction to a ban on the polarizing sticks at Finland’s Flow Festival. Travel search engine momondo.co.uk questioned 1,000 people from 20 different countries, to find out which nations are most and least-tolerant when it comes to the selfie stick. Finland is perhaps least in love with the stick, with only 4% stating they have tried using one to take pictures on holiday. Though it seems Brits dislike them with more fervor, as 39% of those questioned stated they get annoyed seeing other people taking pictures with sticks whilst on holiday. The Spanish appeared the most-tolerant nation however, with only 13% stating seeing people use them while away got on their nerves. Followed by only 15% of Chinese and 17% of Portugese stating the same. And Chinese seem the most-likely to take a selfie stick on a trip – with 49% of respondents stating they have used one on holiday. But Brazilians perhaps love a perfect selfie the most abroad, as 55% admitted to having used one. Compared to just 17% of Brits. Selfie sticks are the marmite of social media. Rarely do people sit on the fence – you either adore them, or despise them. Love or hate however, there’s no denying they can help take the perfect shot. We would hence always recommend being respectful of others when using abroad though. Take note of your surroundings and adhere to any cultural rules – for example, it’s rarely appropriate if visiting a place of worship, but often fine on the beach. There’s a time and place for everything and travel’s no different. So on that note, say cheese!